With it’s art deco architecture, Cuban and Mexican fusion cuisine and platinum white sandy beaches, on paper Miami sounds like an Instagrammer’s dream. But I’ll be totally honest here, I wasn’t expecting to love it quite as much as I actually did. It’s telling of how much you’ve enjoyed a trip when the moment you return and flip open your macbook, your first Google search is to check how much return flights are. Em and I made the decision to visit fairly spur of the moment. We knew we wanted a girly break with plenty of sunshine – but equally, somewhere beautiful we could create content for our blogs. Miami came into the conversation and within a week, our trip was booked! Travelling around the world at short notice is a common feature in our friendship. In fact, when Em and I first met, it was a trip to Paris that brought us together. We both had a break from University at the time and wanted to spend a weekend shopping and seeing the sights of the French capital. One of us tweeted ‘I really want to go to Paris‘, the other replied ‘me too‘ and within a few days, our trip was in the diary. We hadn’t met prior to that, so it was a bit of a risk – but we turned out to have so much in common, and ever since, we’ve been friends! So, heading off to Miami for a week with just a few days notice, wasn’t unusual for the both of us. However, it did mean that we had to research where we wanted to go, stay and eat pretty speedily. Luckily, Miami is full of incredible places – so even if you haven’t done your Googling prior, you’re bound to stumble across more than a few Instagram friendly locations. Miami is full of beautiful hotels, AirBnB’s and apartments. Put it this way, you won’t be stuck for choice when it comes to choosing a place to rest your head. However, depending on how long you’ve got and what kind of trip you’re after, location is key. We opted for two different hotels, both on Collins Avenue – which is often famed as ‘millionaires row’, with it’s A-list populated night-clubs, moored yachts and 40+ storey luxury tower blocks. It’s a ten-minute taxi journey to the famous Ocean Drive – and yet right on the Miami boardwalk, offering expansive stretches of incredible white beaches lined with glitzy sun loungers. For us, this was a great decision, as we loved being able to have breakfast on the beach and go for a run on the boardwalk, while also having the option to hop in an Uber and be pounding the pavements lined with incredible art deco buildings within minutes. Plus, being just a little outside of the main hustle and bustle of the shopping centres, means that you can control the pace of your day. Want to spend all afternoon lazing on the sand with a coconut in hand? 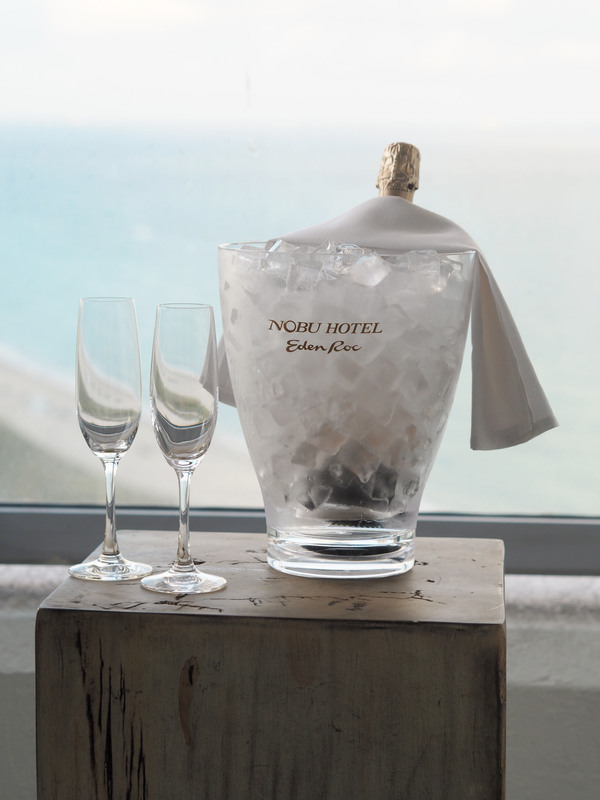 For a palatial palace stay with a view, you’ll want to stay at the Nobu Eden Roc, where we spent our first two nights. Marble floors, glittering chandeliers and an incredible panoramic, we loved how homely this place felt – yet still offering a luxurious and decadent welcome. The bedrooms are great if you’re on a girly trip, as they are absolutely huge – and come equipped with two large double beds, a walk in shower, double sinks and a vast balcony. It’s a really large hotel, so nothing feels overcrowded or busy – in fact there’s a very relaxed atmosphere about the place which is rather reassuring when you visit somewhere new and need a little bit of time to settle in and adjust to the time difference. I loved being able to work out every morning while watching the ocean lapping gently against the sand – and their little hammock corner near the beach is perfect for wrapping yourself in for the afternoon, armed with your favourite book and a fresh Nobu coconut. For something a little more quirky, with Instagrammable nooks around every corner, you’ll want to pay a visit to The Confidante, which felt a little cosier but slightly more exclusive, with the pool area standing as both a place to party (there are live DJ’s every day) and network with fellow creatives. A photo shoot took place pretty much everyday we were there – and we must have met about 5 or 6 people around the pool who were videographers or photographers visiting from New York or LA. The creative crowd that The Confidante attracts means that it’s a really cool place to people watch and generally drink in Miami life. The rooms are much smaller but quirkier in style, offering you something new to ‘coo’ over around every corner. I love the drinks trolley in each room, giving you the chance to shake up your own creative cocktail concoction before soaking in the views from the balcony. Bright, bold hues of mustard, pink and blue run as a theme throughout the hotel (even extending to the old fashioned bicycles in their foyer, which are available to rent if you so wish) – and I love the positive vibe that this colour scheme creates. You instantly feel uplifted and immersed into friendly and excitable Miami culture. Instagram snaps to get: The Confidante Pool Area with their stripy cabanas, the view from the bedrooms of The Eden Roc, a peace sign pose outside the hot pink Miami beach hut, an obligatory snap of you and a friend holding up two Eden Roc coconuts, you lounging on the beach with the towering Miami skyscrapers in the background. 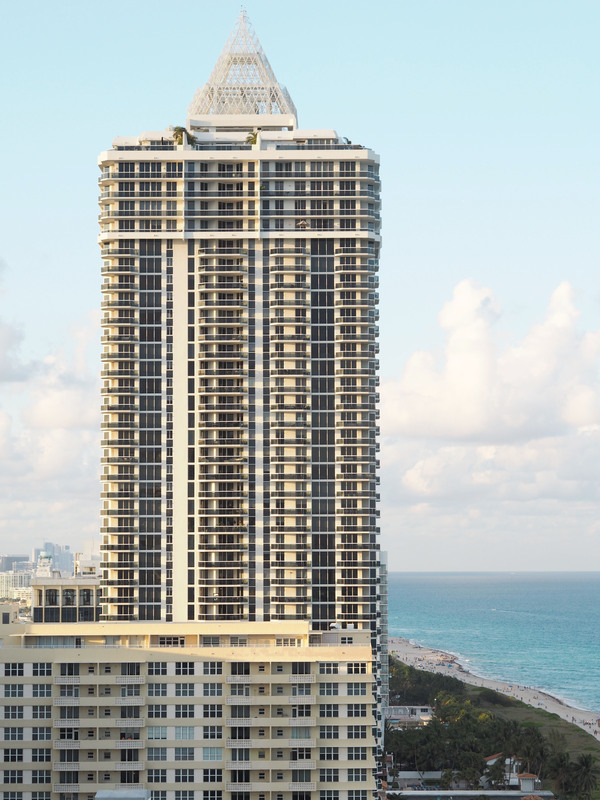 Once you’ve exhausted your quota of walking along the Miami boardwalk, drinking in the beach views and stopping off at each hotel for a cocktail (or two), then there are plenty of other things to keep you occupied during your trip! 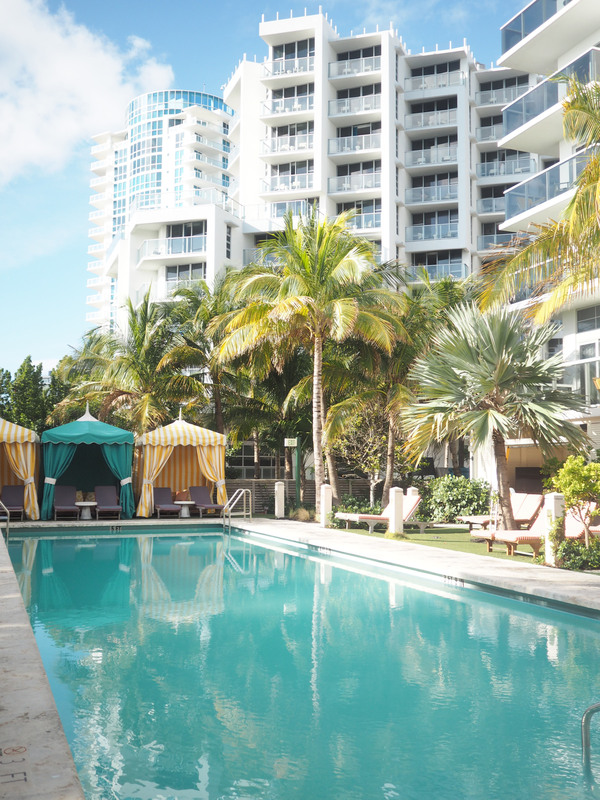 For a relaxing pool party vibe, hire a private cabana for the day at the Loews Hotel and order a feast directly to your sun lounger. With the music gently pumping and the beach just a short stroll across the pavement, you can quite happily spend the day here, sipping from your fresh coconut and taking a few dips in one of their turquoise pools to cool off. Having a cabana of your own gives you somewhere to store your valuables, charge your phones (for optimum Instagramming) and also shower off after a day in the sticky heat, ready for dinner. I can’t say I’m much of a party-goer (I’m too much of a grandma, honestly) but Miami takes it’s nightclub scene very seriously. Hey, there’s even mini planes that fly over the beach advertising which parties are on that night! If that isn’t gentle persuasion to forgo your early night, then I’m not sure what else is! According to our concierge ‘Live‘ is the place to be, an expansive nightclub frequented by the likes of Justin Bieber and conveniently located right next door to the Eden Roc hotel. Nights out are expensive (tables were advertised for $800 – but thankfully a bottle of bubbly is thrown in, we’ll take 4!) so if you are planning to head out, treat yourself to one big night where you can splash out! 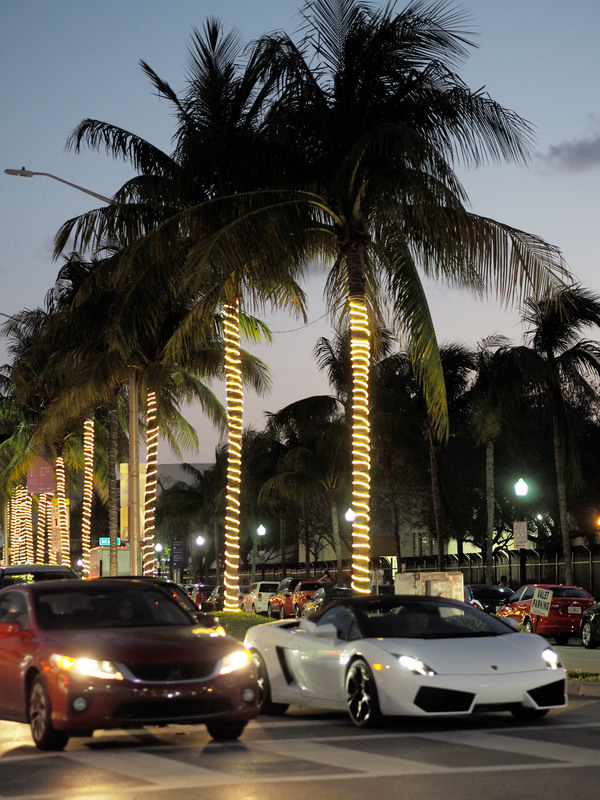 For your shopaholic fix, head to Lincoln Road for a fabulous selection of shops in a pedestrianised area. They’ve got your favourites like Victoria’s Secret, Guess, Zara and Dylan’s Candy Bar – where you most definitely need to stock up on all the American candy in sight. Unfortunately the terrible exchange rate means that lots of things are actually more expensive to buy in the US than they are back here across the pond, however a little window shopping never hurt anyone either. Instagram snaps to get: a relatively natural-looking shot of you strolling down the Miami boardwalk (because everyone walks on their tiptoes, don’t you know), a flat-lay of your poolside feast, a close up of you tasting your cocktail, Lincoln Road’s palm tree lined pavements. The US is famed for their generous portion sizes and certainly in Miami, you won’t be disappointed. Em and I are huge foodies and so making sure we checked out the most recommended places to eat, was one of our first priorities. We paid close attention to TripAdvisor for our recommendations, but we also asked locals for their favourite places – and eventually ended up with a list as long as our arms of places to visit. Whittling them down was difficult, but it was mainly based upon our shared love for chicken fajitas and guacamole, so please excuse the number of recommendations which feature these favoured dishes. Although trust me, once you’ve had Miami guac, whatever we’re given here in the UK just won’t ever match up. Is there a secret ingredient I don’t yet know about? 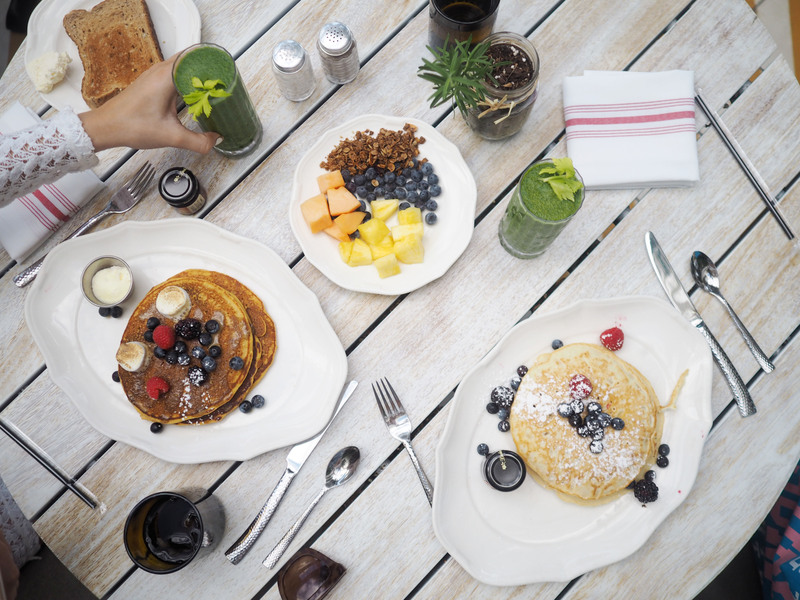 Breakfast and Brunch is taken quite seriously in Miami – and rightly so, it is the most important meal of the day after all. 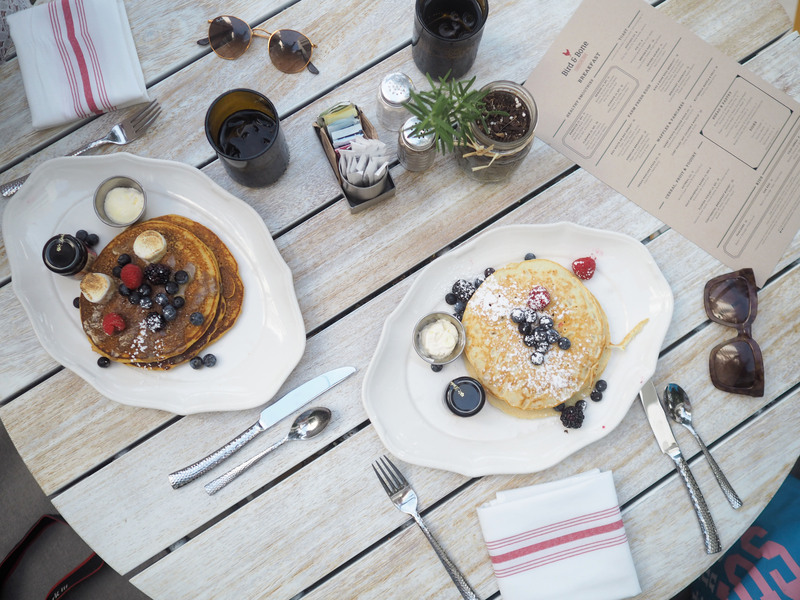 On two days of our trip, we indulged at Bird & Bone at The Confidante hotel, largely because their tables were beautifully Instagrammable and they offered an incredible selection of amazing (dairy-free friendly) dishes. 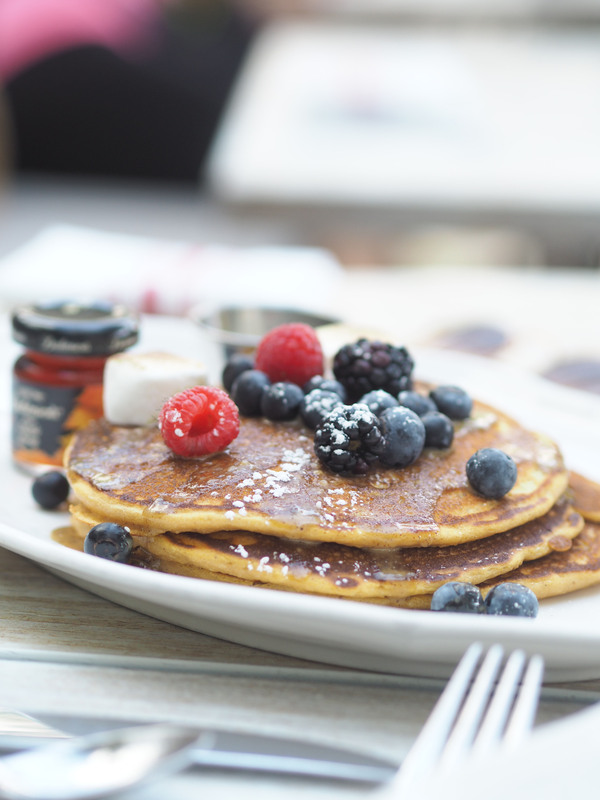 I took pleasure in testing out the vegan pancake stack with fruit and maple syrup on two seperate occasions (you know, just to make sure they were consistently good – which I can confirm, they were), while Em opted for the sweet potato pancake stack with whipped butter. Ah-mazing! Also on our tried and tested list was the whipped butter and pomegranate toast, the avocado and spring green toast and the oatmeal, layered with berries and dripping in syrup. Mmmm. 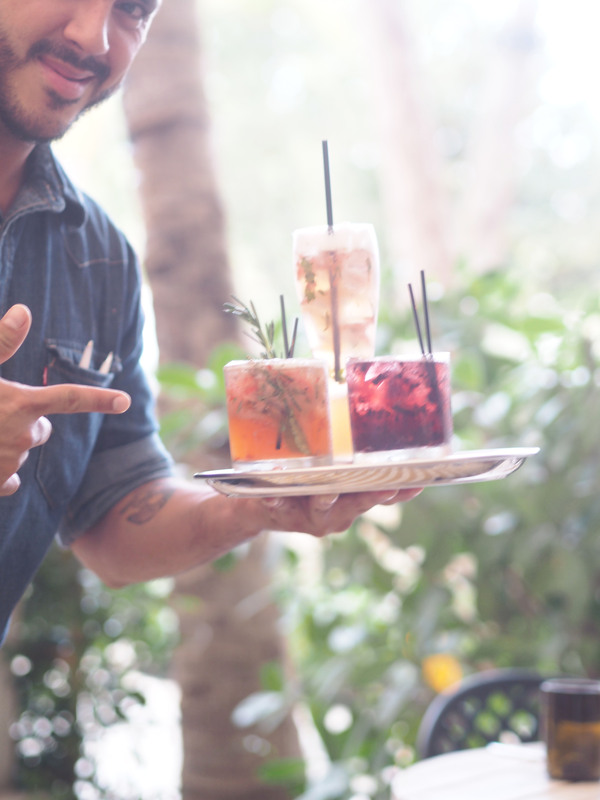 For something a little healthier, try the beach bar menu at Nobu Eden Roc. Admittedly, it doesn’t open until 11am, which can be frustrating when you have jet lag and it’s already the afternoon, however honestly, it’s worth the wait. 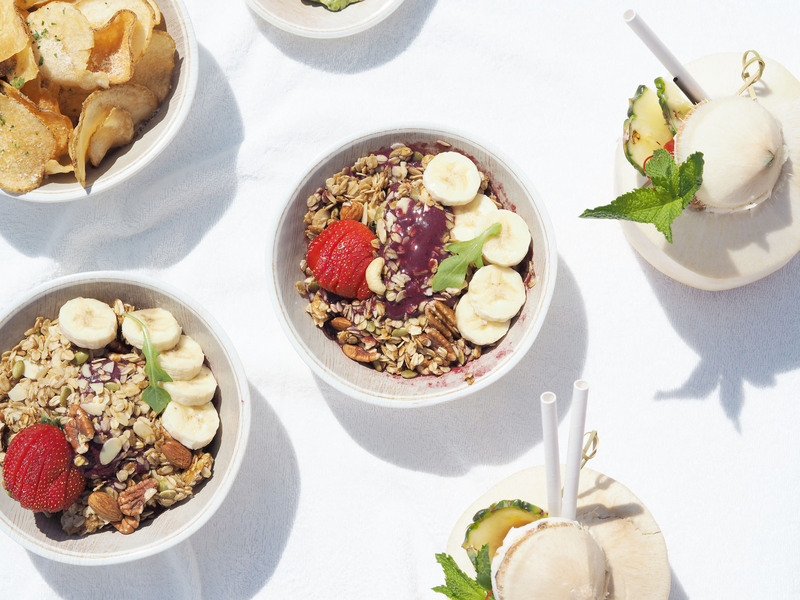 Pass the time by soaking in the rays, before placing an order for two Acai bowls. Not only are they refreshingly ice cold (which is exactly what you need after a few hours in the sun) but they feature gorgeous nutty granola, banana and almond shavings. Decadently healthy! Wash the Acai down with two fresh coconuts (with a shot of rum if you’re feeling brave) and a bowl of chips and guac. Who said guacamole isn’t a breakfast food? It’s basically avo on toast, right? For lunch, you also have an abundance of options – although if you’re looking for a truly authentic American experience, head to The Big Pink. Not only does this place offer the most incredible Instagram opportunities ever (I mean, it’s an entirely pastel pink building complete with pink VW beatle cars!) but it also has an extensive menu, serving up incredible American diner food. Whether you’re after pizza, pasta, salad, noodles, chicken, steak, sandwich or milkshakes, this place has you covered – and everything is so tasty and surprisingly high quality! Em and I stacked our table high with a feast of goodies, before admitting defeat halfway through. We both seem to eat with our eyes and over-order, but hey – it made for some fabulous Instagram flat-lays! 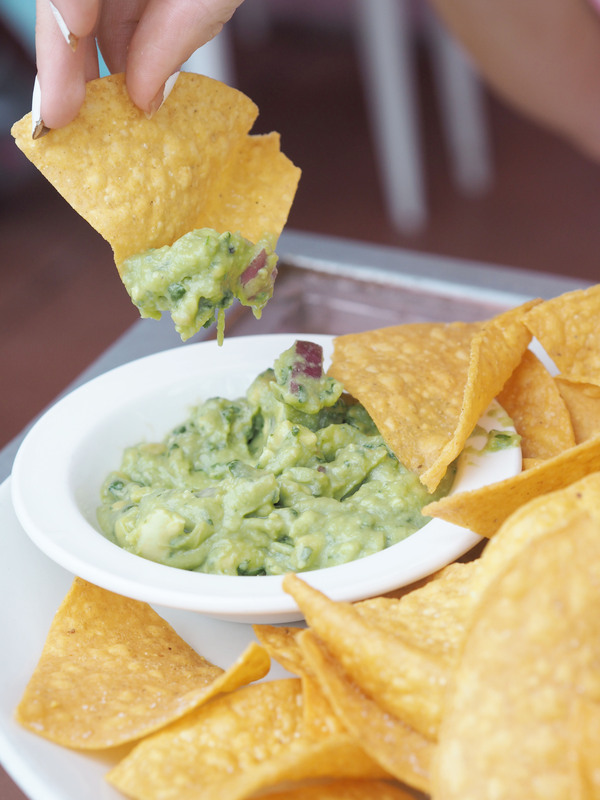 When it comes to dinner, our cuisine of choice was Mexican – because let’s face it, can you ever get enough guacamole in your life? Oh Mexico on Washington Ave is a great choice for dinner, as you perch on little tables on the pavement, soaking in the hustle and bustle of Miami – cars whizzing past with music blaring and palm tree lined streets. 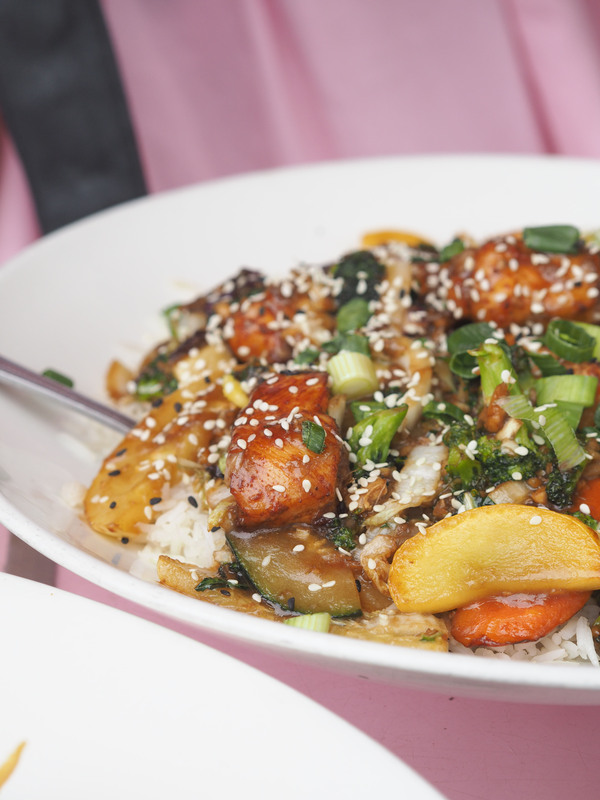 The food also comes highly recommended, with an authentic menu of incredible delights. The best bit however, is the fact that when you order the guac and chips, you get your very own private guacamole making station, which is wheeled over to your table and created before your very eyes. Choose your spice level and watch it come together, before indulging in possibly the largest bowl of it I’ve ever seen. I love that Miami isn’t stingy about the guacamole. My local Mexican is fab but I’m given a tiny pot that runs out within the first five minutes. Give me Miami portions any-day! Rosa Mexicano on Lincoln Road is also a great pit-shop for dinner, once you’ve shopped until you’ve dropped (or rather, got hangry). The menu is a little more adventurous, your cult favourites mixed with chicken tinga and roasted poblano but it’s all just as delicious! For pizza and cocktails with the girls, head to Soho Beach House, for which unlike the London edition, you don’t need to be a member of in order to dine for dinner. Danielle, Em and I had an incredible meal the first night – delicious cocktails paired with thick, crispy pizzas. I had butternut squash, kale and tomato on mine – which sounds so strange, but is an incredible combination. The sharing platters also looked amazing! Plus, it’s a great place to people watch! If you want somewhere that takes you straight from beachside to dinner, then Bird & Bone at The Confidante is a great first choice. Not only can you lap up the atmosphere from the hotel’s pool area at the same time (or perhaps pop into Nina’s House beforehand for a cocktail or two) but you can also sample some of the amazing delights they have on offer. For an impressive yet simple meal, opt for the roasted chicken and chunky fries – with a Confidante cocktail to compliment. Instagram snaps to get: a flat lay of your Confidante hotel brunch (don’t miss out on that pancake stack), two of your favourite cocktails in the ‘cheers’ position with the gorgeous pool as the backdrop, a birds eye view of your Mexican feast – complete with guacamole bucket, an avocado on toast with your green juice, precariously balanced on the edge of the sun-lounger. There are lots of flight options if you’re heading from London to MIA, however we opted for an extra treat – with a short stopover in Paris to browse Chanel and stock up on Laduree macaroons! Air France operates daily flights to Miami from London Heathrow via their convenient hub airport of Paris Charles de Gaulle, from £537 return including tax. A free glass of champagne is offered on all long-haul flight, in all cabins – including Economy. So you can snap one last Instagram from the plane, holding your bubbly with the clouds as the perfect blurred backdrop! 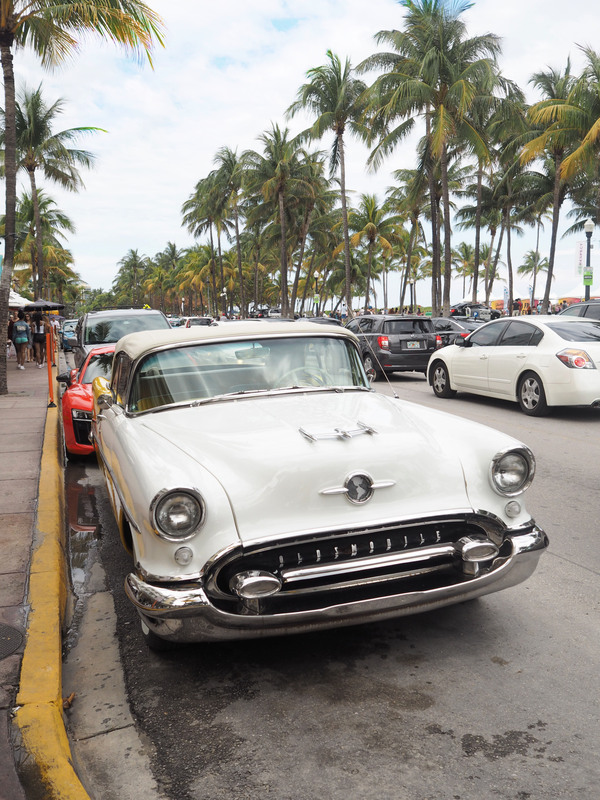 Have you visited Miami before – and if so, what did you think? Is it a place on your bucket list? Thank you to Air France for our flights and Nobu Eden Roc & The Confidante for our wonderful hotel stays. All words are entirely my own.